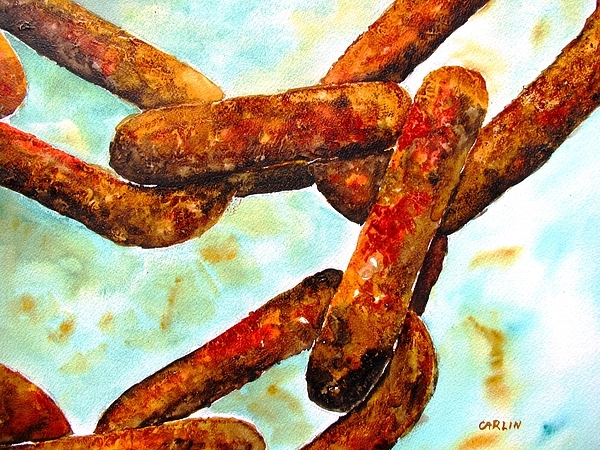 Thank you for returning and pinning my painting of a rusty chain! I use a mix of transparent watercolor pigment to get the many rust colors. 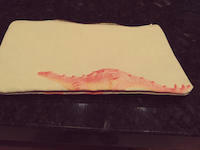 The texture was accentuated with the help of gesso underneath the paint. I am pleased you like my painting! You are sooooo very sweet, thank you so much for the compliment :-) I am pleased you enjoy my Sea Chain watercolor painting! Thank you for commenting on my sea chain watercolor painting. Glad you enjoy the subject and composition! So sweet of you to comment. Thank you very much. 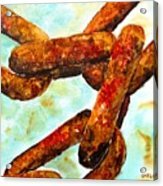 I am pleased you are so drawn to my rusty chain painting! Thank you for commenting and vote. I am happy you enjoy the rusty texture in my chain painting! Janet thank you for your comments and vote on my rusty sea chain watercolor painting. I am flattered you could almost feel the texture! Wow! The detail in this painting is amazing! Very nicely done! Patricia I am flattered by your comments. Thank you. 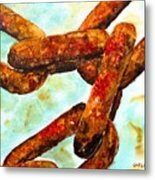 So glad you enjoy my rusty sea chain watercolor painting! Hanne, thank you so much for your comments. I am happy you enjoy my rusty sea chain watercolor painting! 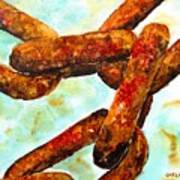 Thank you for letting me know you enjoyed my watercolor painting rendition of rusty chain under water! Thank you Barbara! You are quite correct about a strong metal chain and delicate watercolor paints!!! Thank you so much! I appreciate your enthusiastic comments and your vote. Thank you for adding my Sea Chain painting to your favorites!